Advocating the Rights of Children (ARC) has conducted HOPE Campaign awareness sessions on child abuse prevention in all islands of Faafu Atoll, in partnership with Ministry of Gender, Family and Social Services. 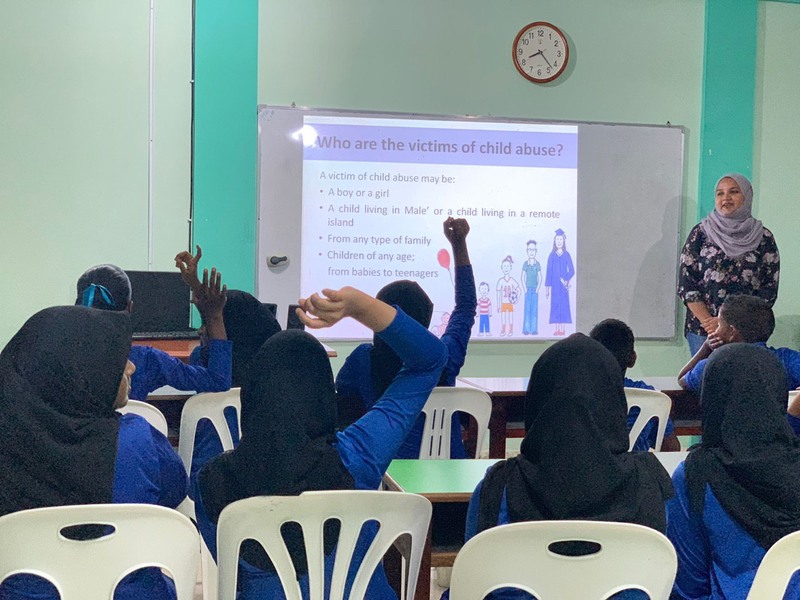 More than 530 students studying in Grades 4 to 8 in F. Nilandhoo, Magoodhoo, Bilehdhoo, Dharanboodhoo and Feeali participated in the awareness sessions held this month. HOPE Campaign sessions focus on teaching children how to protect themselves from abuse and neglect and ways to respond and report abuse. HOPE Campaign was launched by ARC in 2010, to prevent child abuse and neglect and includes awareness sessions for children and parents as well as workshops for teachers. The sessions held in collaboration with Ministry of Gender and Family since 2017, have been conducted in Haa Alif Atoll, Haa Dhaalu Atoll, Shaviyani Atoll and Fuvahmulah City as well as all islands of Kaafu Atoll, Vaavu Atoll, Meemu Atoll and Gaafu Dhaalu Atoll, to date. ARC looks forward to continue working closely with relevant stakeholders, to further raise awareness to combat all forms of violence against children.